Great for Cedar Shake replacements. 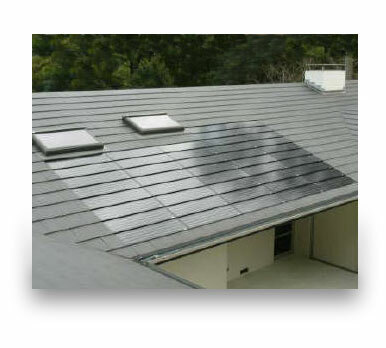 Slate with integrated solar. The elegant solar roof! Discover the elegance and durability of Vermont slate! 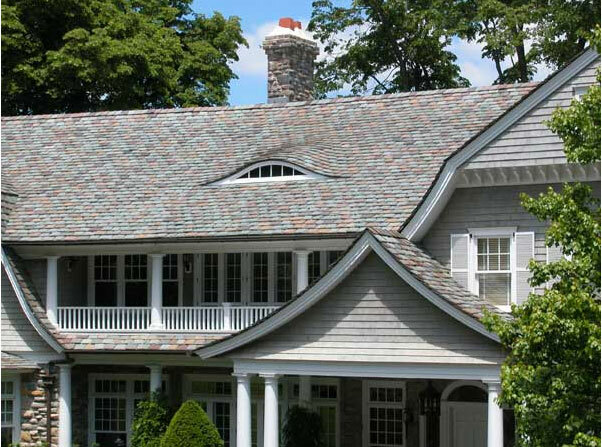 No other roof is as unique, elegant and long-lasting as a Greenstone genuine Vermont slate roof! Slate has been acclaimed for generations as the ultimate roofing material. Slate is natural stone with a remarkable property: it can be split into thin tiles of uniform thickness. This, along with a natural aesthetic appeal is what has made slate the most desirable roofing material for more than a thousand years! A Vermont slate roof, since it is stone, simply has no equal in durability. Slate’s natural beauty sets it apart from any other roofing material—each slate roof has a unique and exclusive character of its own. 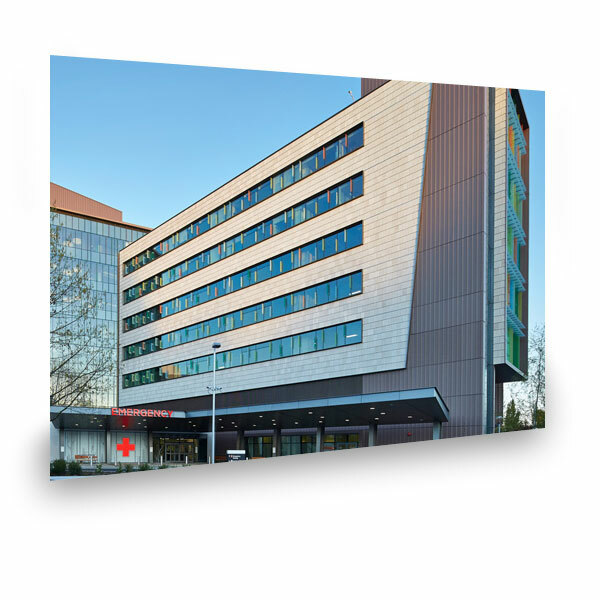 You can enhance the aesthetic appearance of nearly any building with the wide variety of rich natural slate colors and slate textures that can be combined in nearly endless combinations. 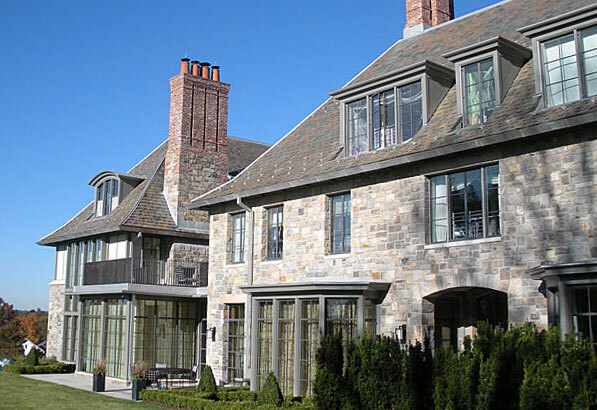 The Greenstone Slate Company has been a leader in crafting Vermont roofing slate for well over half a century and has shipped slate all over the world for residential and institutional projects. Our quarries are located in the heart of what is known as the Slate Valley— a region primarily in Vermont, extending slightly into New York State. It is a region that has a history of producing some of the finest quality slate in the world. We invite architects, contractors, project managers, and contemporary building envelope specialists to contact us to discuss the long-term protection and environmental benefits of Greenstone Vermont slate for any structure or cladding project. Greenstone Slate is an approved American Institute of Architects Continuing Education System Provider. Credit earned on our course is reported to CES Records for AIA members. Both AIA and non-AIA members receive Certificates of Completion. Take our AIA online course. 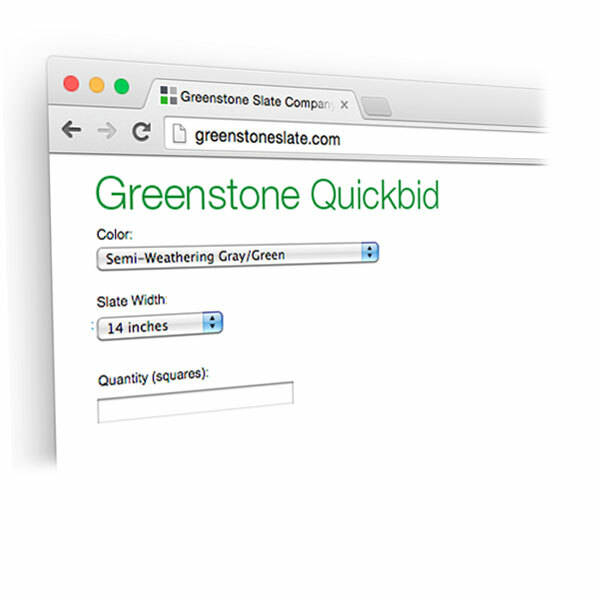 QUICKBID: The fast track to a price quote on your slate roof project. SLATE SPECIALS: A limited selection of aggressively priced slate packages that might be the solution for your slate project. Nothing beats natural stone for a roof. Greenstone Vermont slate is S-1 rated — the best slate there is. 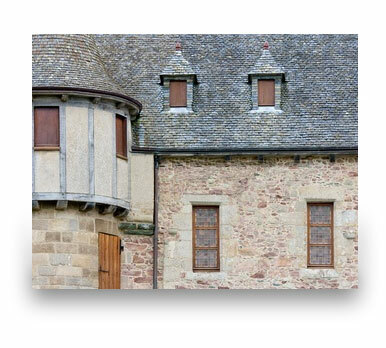 Slate roofs have been utilized in Europe for nearly 1000 years. They adorn most of Europe’s historical buildings and have helped define many European architectural styles. In fact, slate is well known to outlast the fasteners holding it and the roofs are taken up and re-fixed using new nails, ensuring that the building remains watertight while keeping its historical aesthetics. Today, an ASTM S1 slate roof is rated to last at least 75 years and Greenstone Slate® has a 100 year warranty. It is a lifetime investment that adds to the value of a property for its aesthetics, durability and anticipated low maintenance. Not all slate is the same. Fortunately, there are engineering standards that create clear performance ratings for slate sourced worldwide. Greenstone is located in the Slate Valley of Vermont—known for its top quality slate. 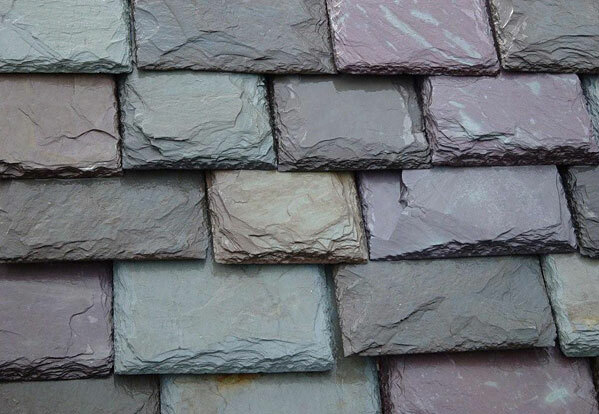 Vermont slate is the basis for the Greenstone roofing slate’s S1 (best) rating by ASTM International, an independent organization that sets standards for building materials. 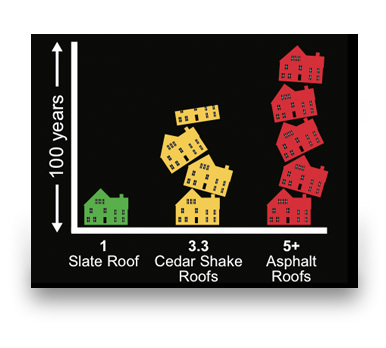 S1 roofing slate is rated to last 75 years. 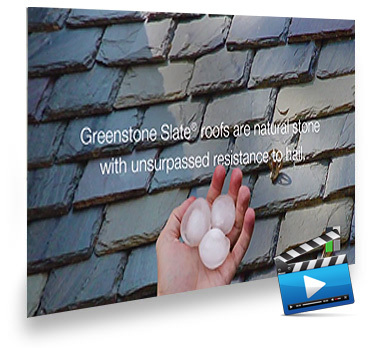 Greenstone provides a 100-year warranty for its slate. Slate’s durability alone plays a key role in enhancing your property. Greenstone Slate® has been tested by National Slate Association approved facilities and meets the ASTM* C406 Grade S1 slate standard. Greenstone Vermont slate has all the physical characteristics of the best quality slate available anywhere in the world. 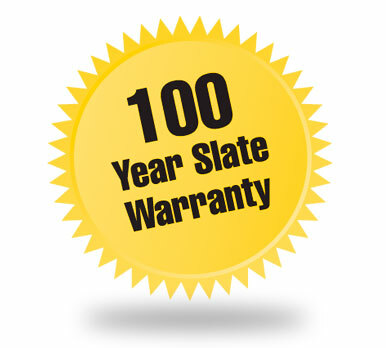 See the Greenstone Slate 100 Year Warranty statement to learn more about how we stand behind the material and the manufacturing of our slate. *ASTM is the American Society for Testing and Materials, an international standards organization. Learn more about engineering standards and the quality of Greenstone Vermont roofing slate. Longevity, durability and many other features make a slate roof sustainable. From cold to heat, dry to wet, it does not curl, shrink or deform. 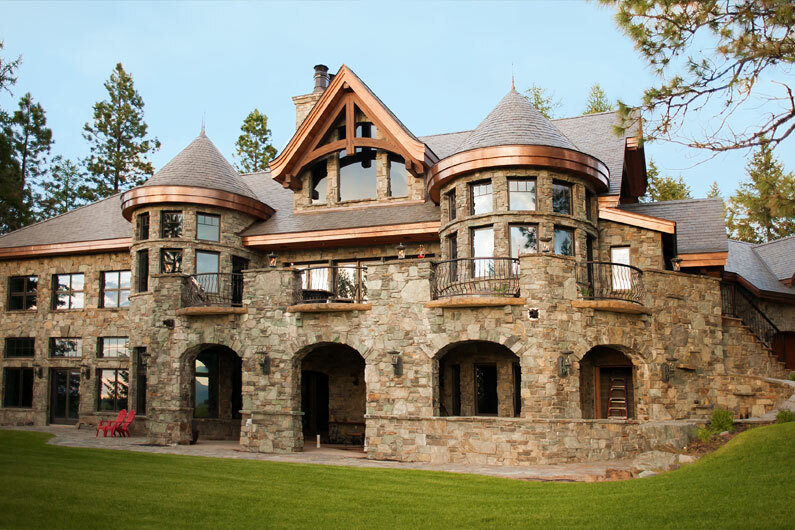 Slate’s physical stability protects your home better than any man-made material. Greenstone Vermont slates absorb less than .0025% of their weight when submerged for 72 hours, giving them the prestigious ASTM S1 classification, the highest rating available. 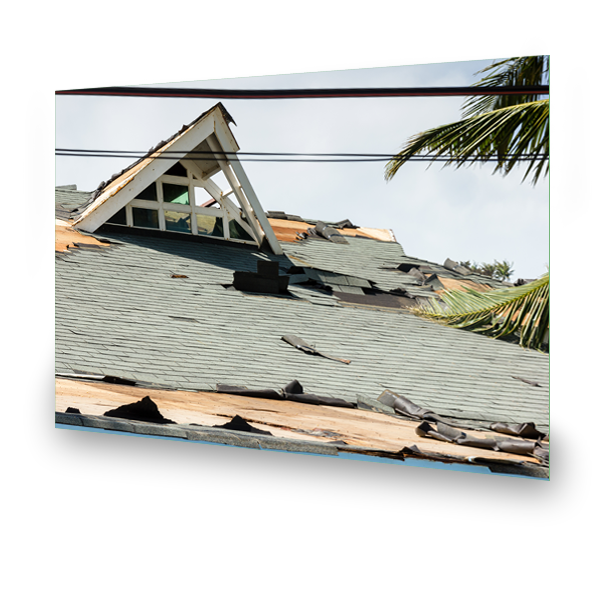 Greenstone Slate® is Miami-Dade County approved to be used in hurricane zones. 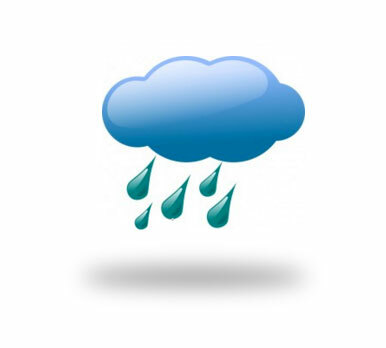 It has been independently tested and at sustained wind speeds of 110 mph with rain. There were no failures and no leaks. See video and view current Miami-Dade Acceptance here. Vermont S1 rated slates are exceedingly strong at a mere 1/4″ inch thickness. At 3/8″ thickness or more, Vermont slates have received a Class 4 hail rating for Architectural Grade as confirmed in independent laboratory testing. 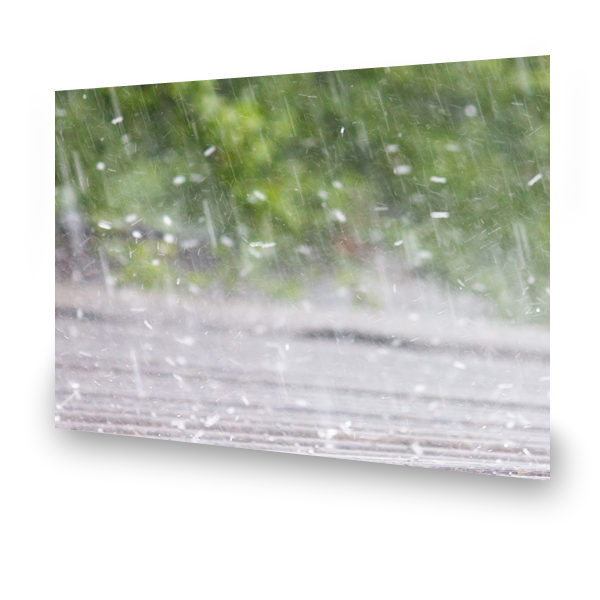 For Standard Grade Rough Texture (between 1/4” to 5/16” thick) a Class 3 hail rating was achieved. This can benefit homeowners by lowering their insurance premiums and/or in some cases assuring insurance coverage (check with your insurance agent about slate roof coverage). The increased material cost of better grade slates is often offset by the insurance benefits. As well, thicker slates have an even the longer life expectancy. Slate is natural stone so it simply does not burn. It exceeds all fire resistance standards. 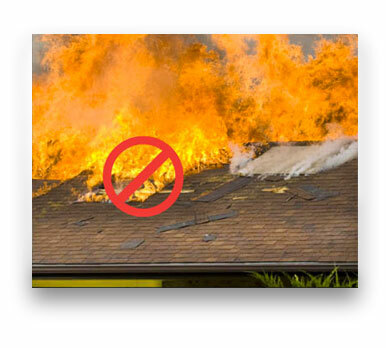 Some roofing materials that might not technically burn are still affected by the intense heat of a house fire. It is because they can contain a percentage of water as the result of absorption. 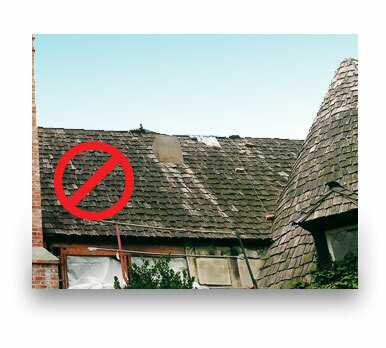 As the water inside is heated, it expands, causing the roofing tiles to crack or even explode! A Greenstone S-1 slate roof, with virtually no water absorption, is automatically deemed a Class A fire proof roof in some locales. Slate is an inert material that does not support mold, mildew and organic decay. The organic nature of cedar shakes does eventually succumb to aging and decay that deforms the shape of the shingles, that not only degrades its water repelling characteristics, it allows dirt and moisture to gather under the shingles. This further accelerates degradation and provides an increasingly favorable environment for bio-growth as well as a haven for ants and other insects. Since Vermont slate has virtually no water absorption and will not rot, destructive fungii, molds or insects, go elsewhere. Roof mounted solar panels have become more and more commonplace. However, solar panels are usually mounted on a special frame and the entire installation detracts from appearance of the home or building. 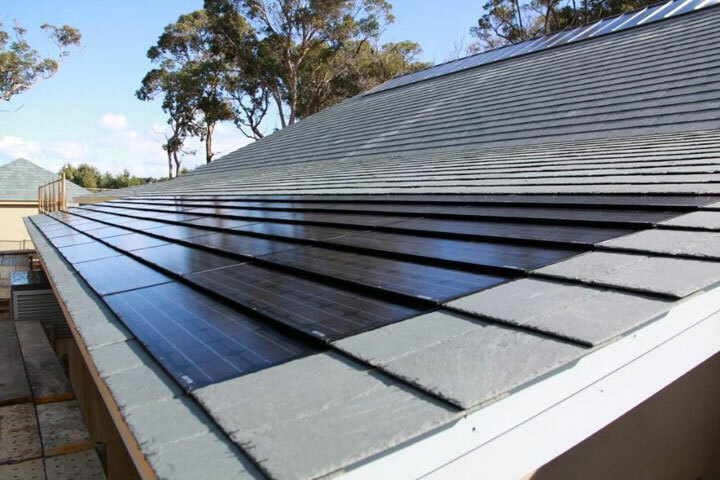 Now, using the Nu-Lok Slate Roof Installation System with Nu-lok SolarRoof™, you can enjoy the best of both worlds because the solar panels can be installed flush with a Greenstone Slate roof! Learn more here. 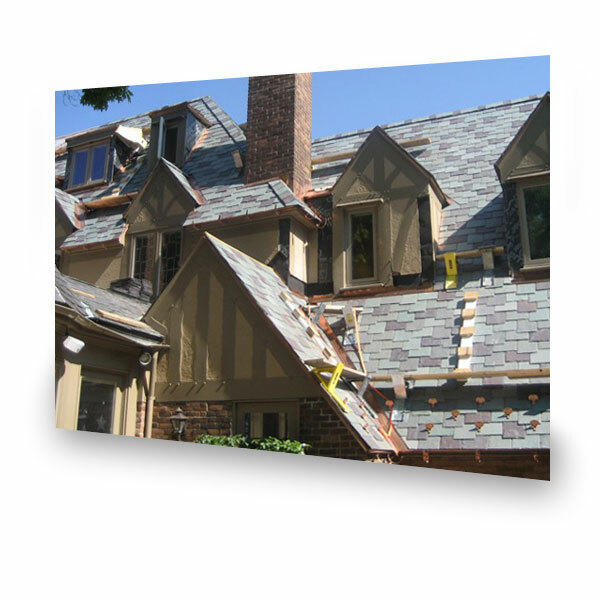 Slate’s longevity does more than save the cost of installing five or more replacement roofs. The reduction of construction waste is an important goal for the improvement of the environment and should be a factor when considering a sustainable roof. 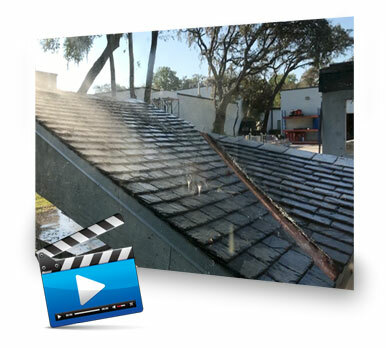 A slate roof better protects the building reducing potential cost of repair from water leaks and storm damage which also contributes to slate’s sustainabilty. Slate is 100% natural stone and an inert material. 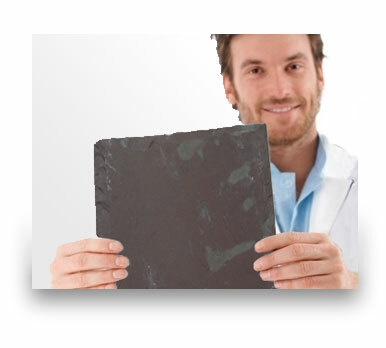 It is not contaminated with chemicals or any substances during manufacturing into slates (cut, split, trim and drill). When it is time to dispose of it, there are no environmental concerns about placing the stone back in the ground. 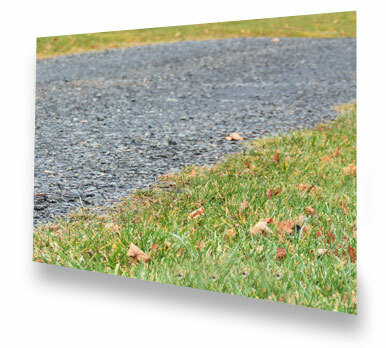 However, slate is frequently re-used on another roof, mixed into road pavement or as the pavement itself — from driveways to highways. We hope that you will enjoy this 3 minute introduction to slate. It covers topics from geology to quarrying and from the manufacturing of slates to a tour of fine residences and buildings that demonstrate the elegance, durability and longevity of Greenstone Genuine Vermont Slate. 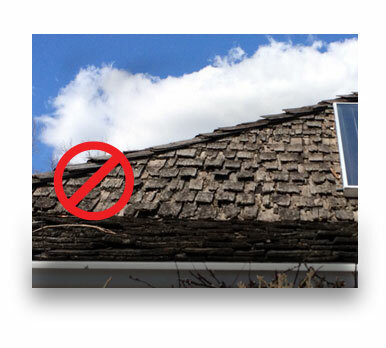 Yes, there is a way to reduce the weight of a genuine slate roof. Slate roofs are noted for being heavier than other roofs — a trade-off for the durability, longevity and aesthetic value of a natural stone roof. However, advances in materials and methods associated with slate roof installation have made it possible to reduce the overall roof weight by simply using less slate. 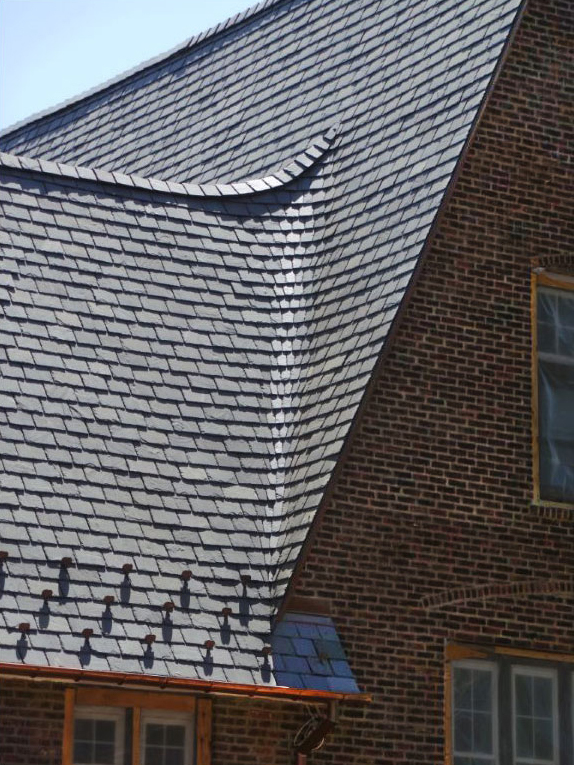 Lower weight makes slate a very realistic alternative when replacing a cedar shake roof, for example, or in new construction when there is a limited budget for the structural reinforcement required to support a traditional slate installation. 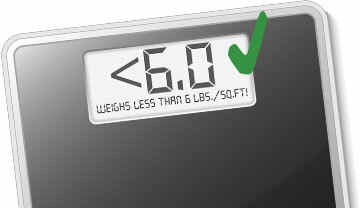 In fact, the weight of a slate roof can now be brought down below 6 lbs /sq ft — a weight that most quality buildings can support. Learn more about reducing the weight of a slate roof. The SlateTec patented slate roof installation method reduces the weight of a slate roof by applying their very rugged interlayment under the slate. 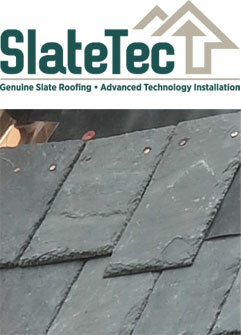 Learn more about SlateTec and view installation videos. 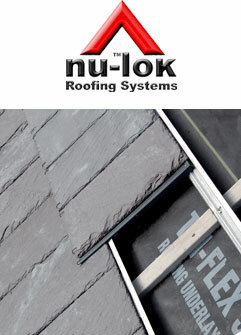 Developed in Australia in the 1980s, the Nu-lok installation system places the slate on a grid. It is unique in many ways, and has the distinction of being walkable. 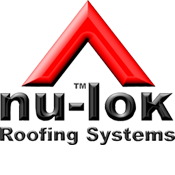 Visit our Nu-lok page. 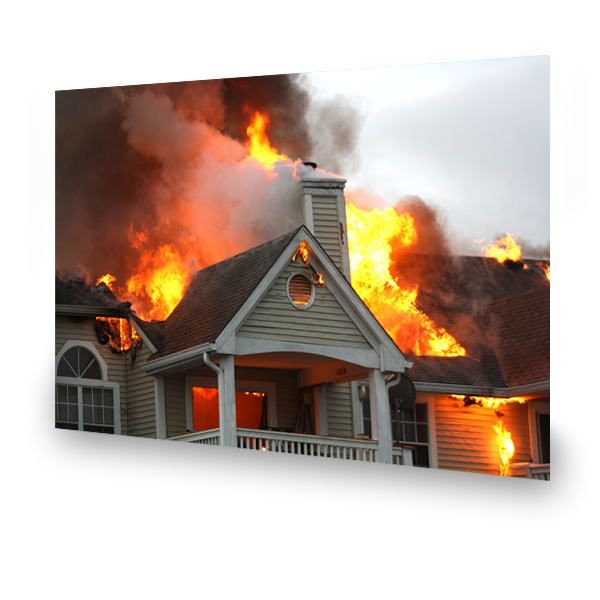 HailFire™: Protects your home, from one extreme to the other! It’s the rigidity and density of Greenstone Slate® that gives a HailFire™ roof its extraordinary impact resistance, particularly to hail. It’s been lab tested to repel 2-inch hail traveling 120 mph, earning it a Class 4, FM 4473 impact rating—the best rating there is! And, slate is 100% fireproof, since it is stone and simply does not burn. That’s just the beginning of the benefits. Learn about elegant appearance, innovative installation method and the superior lifespan and ruggedness of HailFire. The innovative Nu-lok Slate Installation System is an efficient and low cost-of-ownership approach to stone cladding. Stone cladding has many benefits including durability, style and longevity. In addition to those benefits, siding an building with Greenstone Slate® using the Nu-lok installation system is comparatively lightweight, low cost, “breathable” and offers unprecedented building service access. Slate is metamorphic stone that was formed millions of years ago in various regions of the world, and it is not all the same. The geological conditions when slate was formed influence its strength, durability, and appearance. Fortunately, slate from each of these region has been independently tested for quality which has resulted in clear performance ratings. We are proud of the fact that all Greenstone Slate has been rated ASTM S1, the highest quality rating assigned to any slate. To learn more about our slate rating, colors and blends, and the importance of slate thickness, start with the Greenstone Guide to Buying Slate to make sure you get the performance you expect from your slate roof. We are dedicated to quality service with the fastest response time. If you are ready to get a quote on Greenstone Slate® for your project, here is the fast track to pricing a slate roof for your project. A Greenstone Slate + SlateTec roof weighs less than 6 pounds / sq ft! Year Warranty! No roof lasts longer.